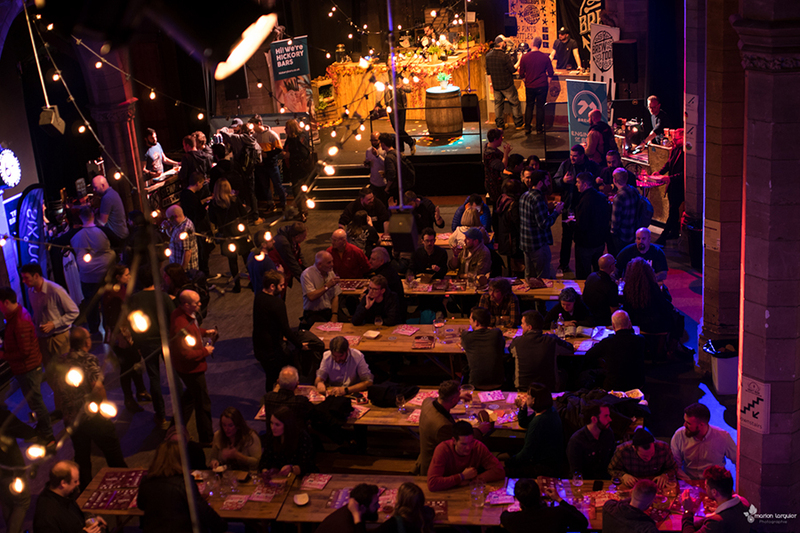 Calling all lager lovers, IPA aficionados, porter experts and craft connoisseurs, the Craft Beer Experience is coming to Edinburgh 15th – 17th November. 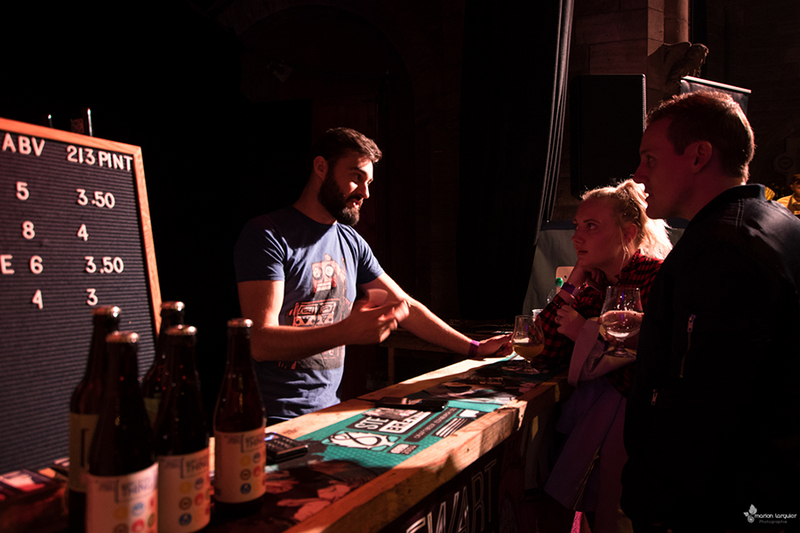 The Edinburgh Craft Beer Experience promises to be a truly immersive beer event, taking over all three floors of the Assembly Roxy on Roxburgh Place to bring you a taste of the very best beers from Scotland, the UK and Europe. 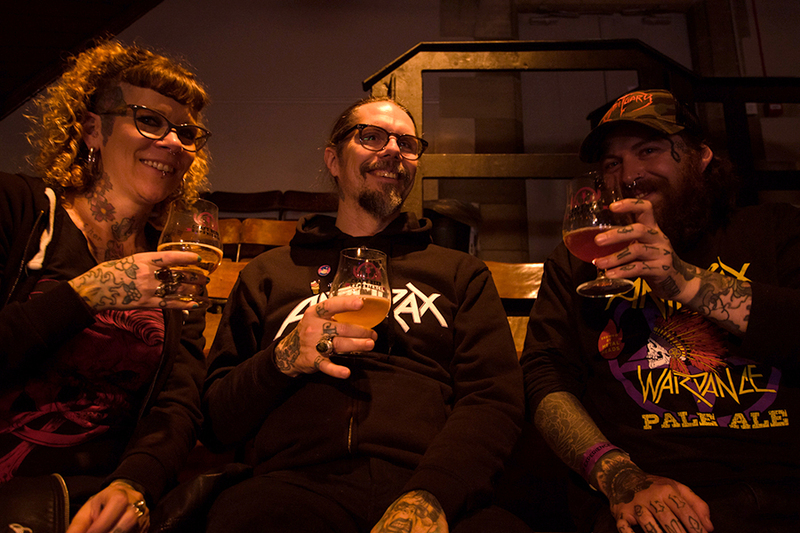 The Craft Beer Experience will run for five sessions over the three days with beers from over 20 breweries for visitors to taste, with some beers appearing in Scottish taps for the very first time. 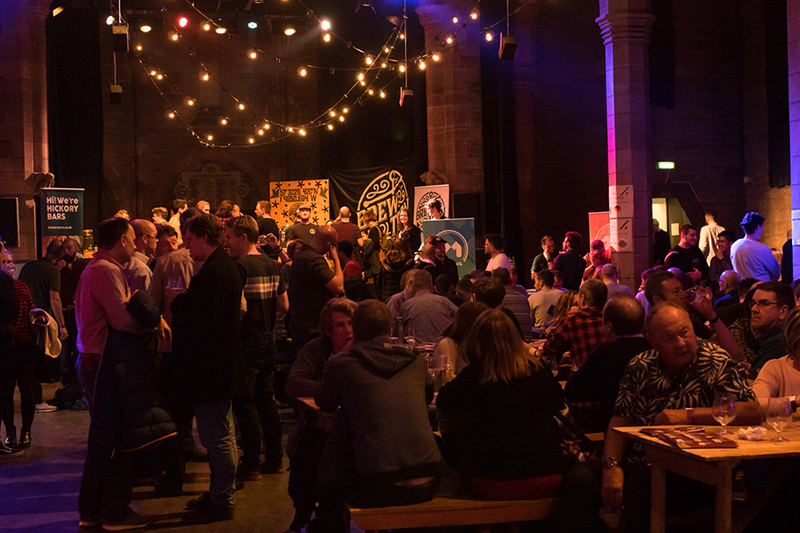 Scotland has a long history of brewing beer, and the Assembly’s Main Hall will be a celebration of that 5,000 year tradition, with food and drink coming from some of Scotland’s best producers. The majestic columns of the Main Hall will be interspersed with 12 craft breweries from Edinburgh’s doorstep and beyond. Also in the Main Hall, to line the stomach, there will be a range of traditional and not so traditional nourishing Scottish fare; and representing the other side of Scotland’s drinking habit; a local Edinburgh bar will be serving up a cocktail list full of Scot spirit with drinks designed to showcase the country’s distilling credentials. 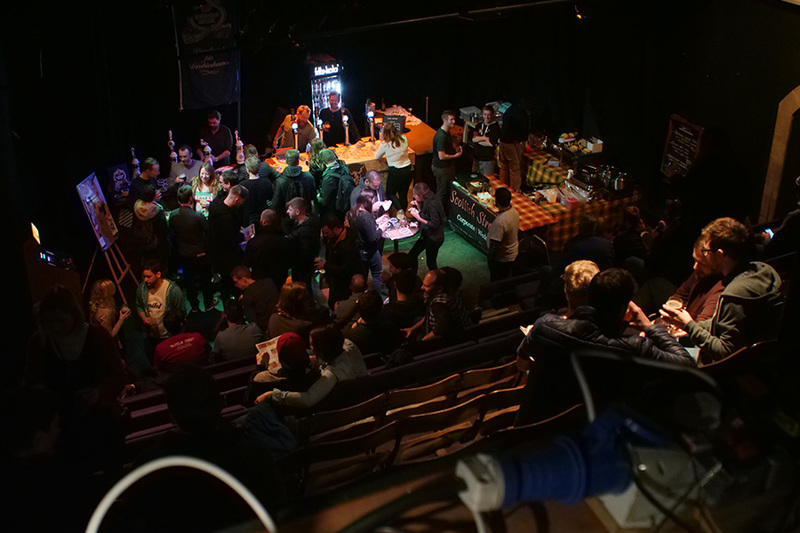 Downstairs and in the venue’s atmospheric Snug Bar, the rest of Britain’s best breweries will be on show. Travelling the stone staircase to the Upper Theatre will take you to Belgium and its distinctive lambic style. Craft Beer Experience will give you the opportunity to taste the best beers Scotland, UK, Ireland and Belgium has to offer. 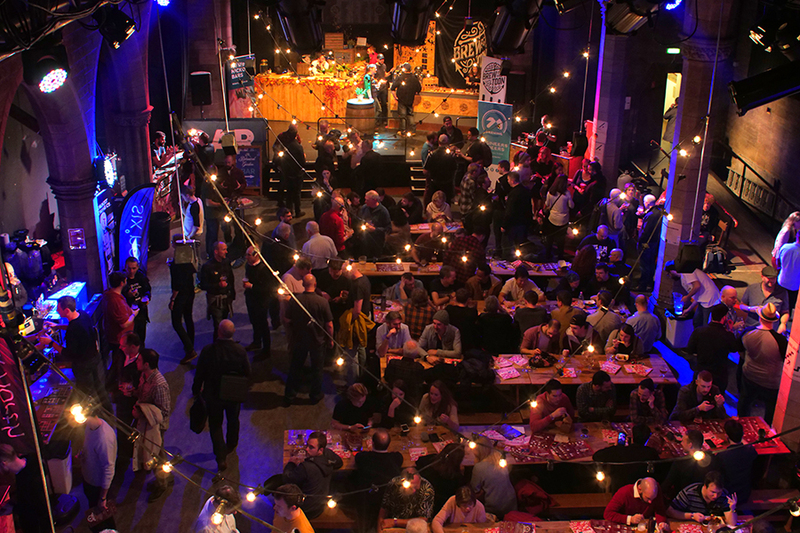 We will have three rooms dedicated to tasty beers with the Main Hall showcasing 12 Scottish breweries, The Snug taken over by five English and one Irish brewery and the Upper Theatre representing Germany and Belgium with its world class Lambic beer. We want to open Craft Beer Experience up to anyone interested in tasting new beers and discovering more about this unique drink. However we know you might also like a tasty cocktail or a cheeky cider between the beers! So, we will be joined by an English cider maker in The Snug bar as well as hosting a pop up bar from Hickory serving up a cocktail list full of Scottish spirit and cider with drinks designed to highlight the country’s distilling credentials. Hickory’s Botanical Garden bar will showcase Edinburgh Gin, Heroes vodka, Isle of Skye whisky and Thistly Cross cider. In Edinburgh we are so lucky to be surrounded by passionate chefs and tasty street food vendors using only the best of Scottish produce. We will have three stalls in the Main hall showcasing Scottish food! 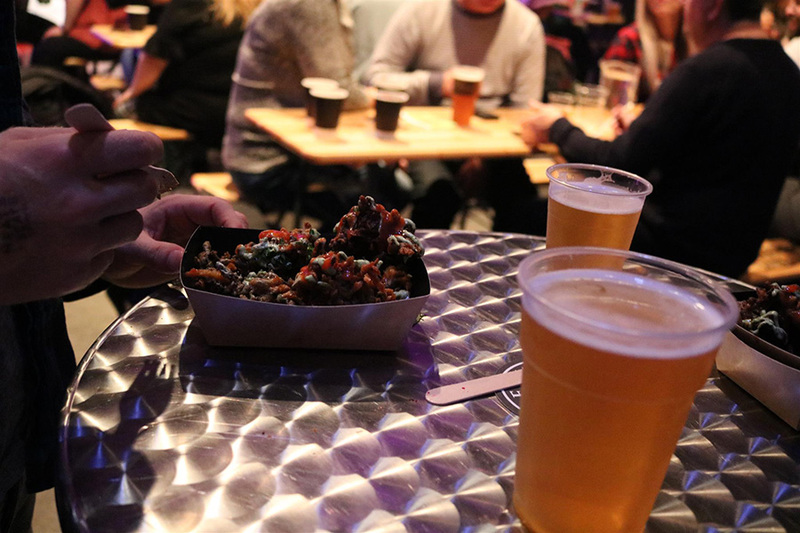 A good beer is much more enjoyable when paired with tasty food. Each room will have its own atmosphere with the Upper Theatre dedicated to Belgian culture and The Snug showcasing pub games. Music in The Main Hall comes courtesy of two homegrown DJs. We have lined up some really fantastic masterclasses which will be free to attend. From Meet the Brewers, to an Introduction to home brewing, to special beers tasting, it’s definitely a drinking experience with a difference! 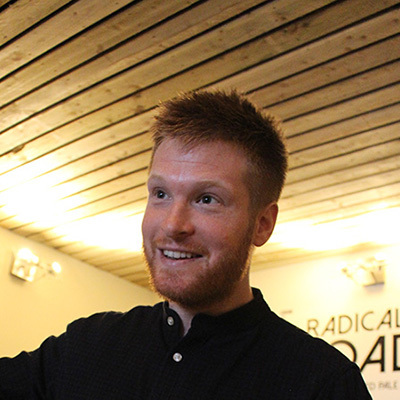 Each masterclass will give you access to free tasters paired with Scottish cheeses. 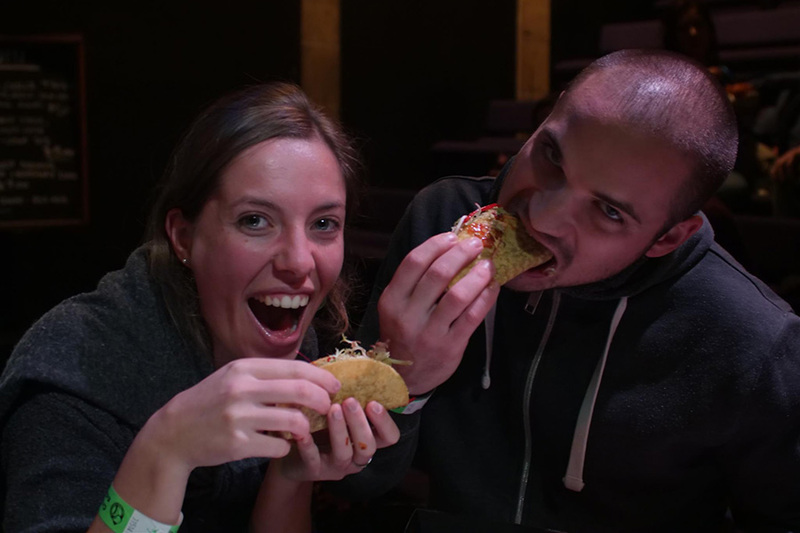 Buy your ticket here and share the good news with your pals! You have javascipt disabled, please visit our event page on Citizen Ticket to purchase tickets. Across the three day event, brewers from Scotland will be put to the test in Edinburgh Craft Beer Experience’s Replicale contest; a tournament of taste where brewers must create their own beer using ingredients provided by Scottish Maltster Bairds Malt in a brilliant display of the versatility of the drink and its creators. You will have the opportunity to taste one-off beers brewed specially for the Edinburgh Craft Beer Experience festival. Assembly Roxy is a unique venue situated in the heart of Edinburgh’s Old Town. The historic former church building houses three main spaces each charming in its own way. The Main Hall which will be dedicated to the best of Scottish food & drinks is a truly unique and beautiful space, with many original features and a stage. 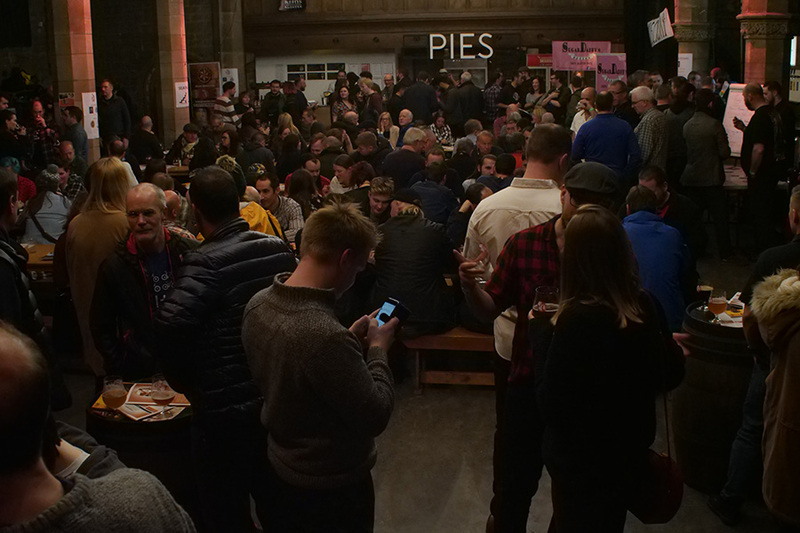 I am Richard, and after two successful years with Edinburgh Craft Beer Revolution festival, I have decided to organise this festival again. We are passionate about good beers and we want to share our love for this unique drink with everyone. 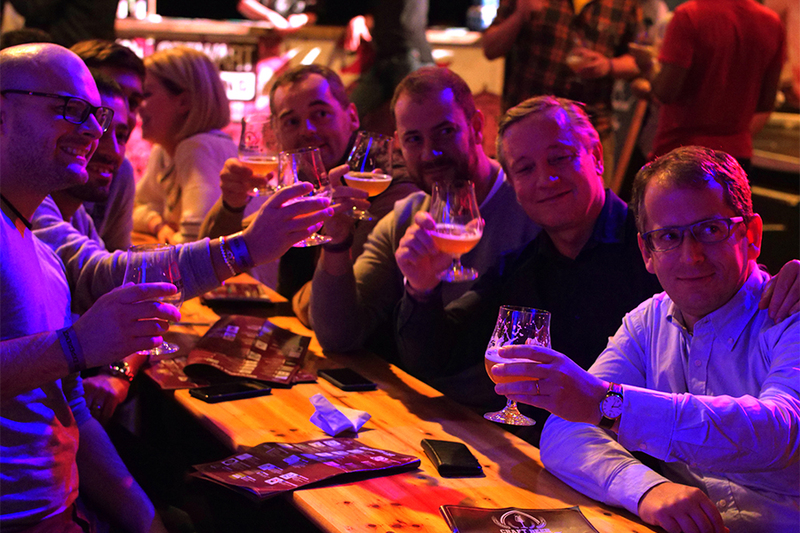 We look forward to seeing you all this year and share a tasty brew. We would love to hear from you. If you want to know more about the festival, have a beer with us, bring your brews, showcase your cooking skills or volunteers at the festival, please do not hesitate to contact us ! Subscribe to our newsletter and receive special offers as well as exciting news before everyone else !